Government interference is undermining the integrity of India’s statistics apparatus, a former head of the country’s apex statistical body said, raising questions about the reliability of data from an economy poised to be the world’s fifth-largest. P C Mohanan, the former acting head of the National Statistical Commission, said questions raised about the agency’s work by a government think tank, the withholding of a jobs report and the lack of enough statisticians were taking a toll on the institution. He, along with another colleague, resigned in January in protest. The comments by NITI Aayog, the think tank, on the National Sample Survey Office’s jobs report was cited by Mohanan as an example of interference. The spokesmen for the think tank and the statistics ministry didn’t immediately respond to separate emails seeking comments. Mohanan’s views highlight a risk to autonomy of institutions under Prime Minister Narendra Modi’s government, which has been accused of meddling with the functioning of entities from the central bank to the federal police. It also undermines the reliability of data, some of which have seen substantial revision recently. Data last month showed economic growth in the year Modi banned 86 per cent of currency was among the fastest ever at 8.2 per cent. At the same time, the government withheld a jobs report that purportedly showed it in poor light. The data, which was leaked and reported by Business Standard, showed jobless rate was at the highest in 45 years. 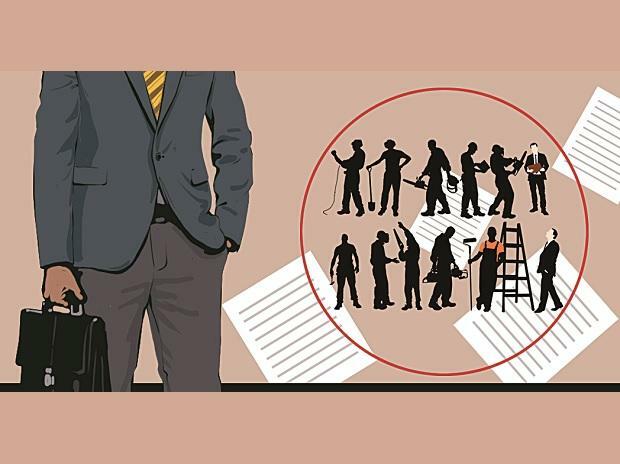 The government has rejected the findings of the leaked jobs data, saying they aren’t final, according to NITI Aayog Vice Chairman Rajiv Kumar. Eminent economists such as Kaushik Basu have expressed concerns about India’s job situation, saying it is worse than many suspect. With elections due by May, that’s bound to hurt the image of Modi, who came to power promising to create 10 million jobs annually. While his government’s final budget focused on relieving distress of farmers, it was missing details on measures to curb unemployment. For a country aiming to become a $5 trillion economy by 2025 and lure more foreign investments, there is a dearth of reliable official statistics ranging from monthly retail sales data to housing starts. Mohanan said the problem was a lack of manpower and government apathy. Almost a fifth of the posts in the Indian Statistical Service were vacant, while that number was about a quarter for the junior positions, according to the statistics ministry’s latest annual report.